Sine wave was used in my previous tutorial. This application is based on application from previous tutorial. Therefore you should know how to create components and handle audio output in JUCE. 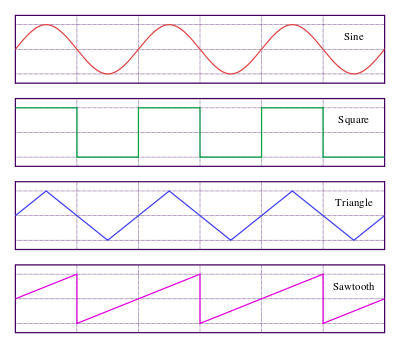 I’ll just clone oscillator from previous tutorial and add support to generate different sound wave types. In this tutorial we will be generating other 3 wave types and mix them together. Lookup table— a predefined table with input and output values. Polynomial Approx — This will make an estimation of the sinusoid function using predefined mathematical expression. 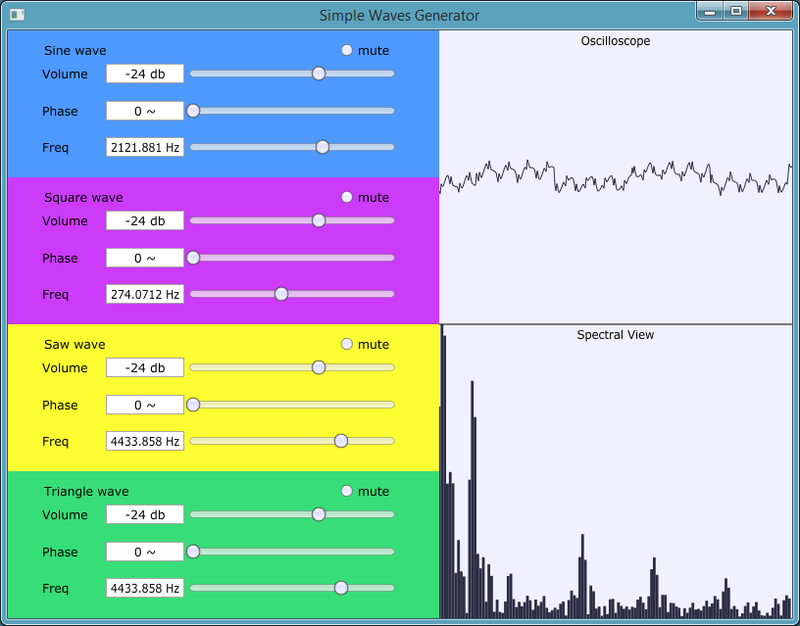 Oscilloscope and spectral views are just helpers to visualize result sound wave. Square, saw and triangle waves sound not so clear because of many harmonics and other issues, but you should get main idea how to generate them.